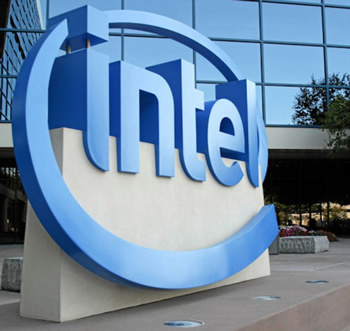 Intel has detailed Atom’s successor at the Intel Developer Forum in San Francisco, previewing Clover Trail’s power efficiency tweaks as well as revealing that the next generation of portable devices running Intel’s new processor will be incompatible with Linux. The firm’s Atom processors have proven a popular choice for computer systems requiring low-cost and power efficient chips, which has resulted in them powering a host of devices from mini-servers to drive storage products and ultra-small form factor computers. They have also been widely used in ultra-portable and inexpensive netbooks. Instead, the chipmaker is showing its full support for computers, notebooks, and tablets running Microsoft’s Windows 8. Given that ARM chips dominate the tablet market and are expected to power several Windows RT products it seems a very curious move. Tablets running the new Atom chips will likely be priced to compete with the iPad rather than Android-based tablets like the Kindle Fire and Google Nexus 7. Intel spent considerable time highlighting is the new P-states and C-states power management features of the new Atoms, which completely shut down the clock of a core and enable the chip to run for longer in Windows. The firm says the OS needs to provide “hints” to the processor in order to make use of it, which could be the reason Linux is unable to use the processors. That said, the Clover Trail platform still uses the x86 instruction set. It also borrows a lot of technology from its predecessor, so it shouldn’t be an impossible task for the Linux community to add support for the new chips in future kernel updates. It might put off OEMs using Linux-based software though, as they’re not likely to use them in the absence of support from Intel. Curiously, just last week the company revealed that it had finished porting Android 4.1 Jelly Bean to smartphones running on its "Medfield" Atom processors, so it doesn't look like the company will be shunning Linux support on all its product lines. The 22nm sucessor to Medfield, codenamed Merrifield, is expected to arrive sometime in the first half of 2013 and will most likely still support Google's Android OS.